Inovus Ltd. is a successful medical device company based in St Helens. They manufacture a range of affordable and versatile medical and surgical training products that are used by doctors and surgeons across the globe. The business was created in 2012 by two directors, Dr Elliot Street and Jordan Van Flute. Both Street and Van Flute have successfully grown the business from a garage-based start up to a leading name in healthcare simulation, with their products sold in over 35 countries worldwide. Inovus recently secured £80,000 of funding through the NPIF – BFS & MSIF Microfinance, part of the Northern Powerhouse Investment Fund which is supported by the European Regional Development Fund. This investment was managed by MSIF and was part of a larger funding round totalling over £200,000. The business is utilising the funding to help expand their manufacturing facility to cater for their ever-increasing product range. The funding also supports an increase in staffing as demand for the Inovus product range grows. It is expected that the funding will help grow the Inovus workforce by over 50% in the next year. Dr Elliot Street, Managing Director of Inovus, said: “The process of raising funds through NPIF was relatively streamlined which meant we were able to secure funding at a crucial time to support the launch of two of our new products, the Sellick™ cricoid pressure trainer and the SmartMan™ range of CPR manikins. 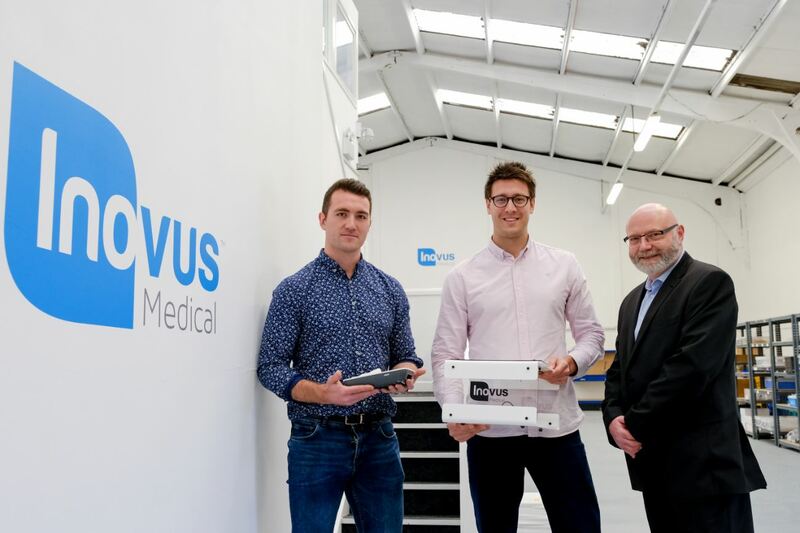 Andy Jones, Investment Manager at MSIF, said: “Both Elliot and Jordan are great business men; they are young and ambitious and have successfully established Inovus as an innovative company within the healthcare sector.